BREATH toured Japan in late September early October 2013 from Kyushu through Shikoku and Honshu, ending in Fukushima and Tokyo. 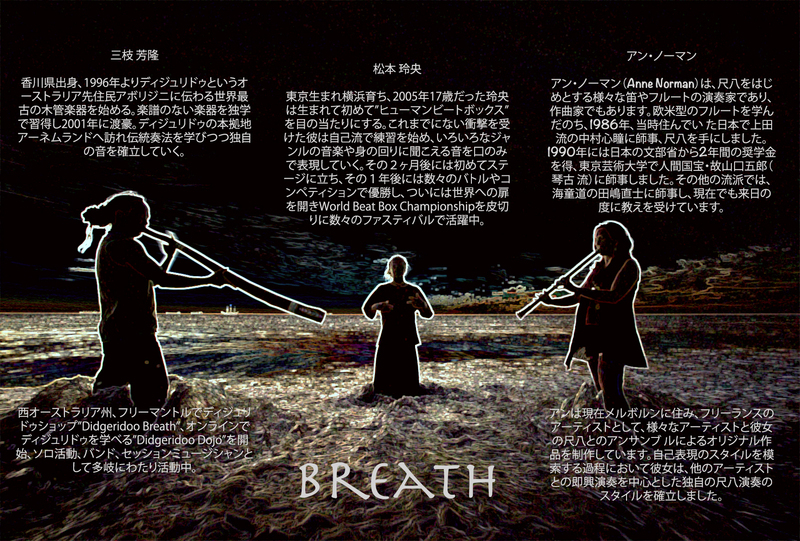 BREATH are very grateful to the Australian Government for their support of the latter part of our tour: ‘Breath: Journey to Fukushima 2013’ was supported by the Australian Government through the Australia Japan Foundation of the Department of Foreign Affairs and Trade. ご予約送信の際に、ご希望の鑑賞日、お名前、電話番号、枚数を明記下さい。こちらからの返信をもって予約完了とさせていただきます。 To make a booking, leave your name and contact details and number of tickets. Guggenheim will get back to you. Kamakura: ASAKOKORO Cafe at Hase Beach 長谷. 7pm open, 7:30 start. Pierre ONO(shamisen), Tetsuj (didge) and Kozo Suganuma (drums). 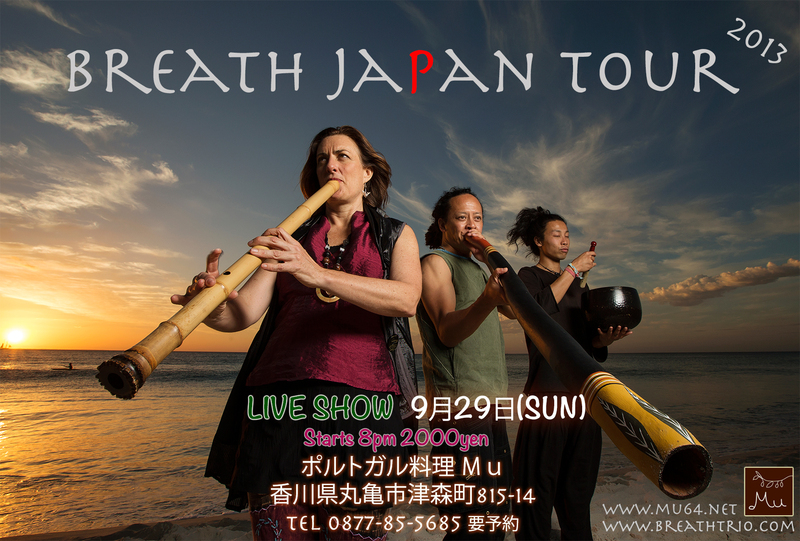 The latter part of our tour ‘Breath: Journey to Fukushima 2013’ is supported by the Australian Government through the Australia Japan Foundation of the Department of Foreign Affairs and Trade. Very Cool Sanshi! WISHING YOU ALL THE BEST! Be safe, need to post some youtube videos of your tour! Love to see you all here in the USA!